IMG_1788 - Ready 4 Take-Off !!! 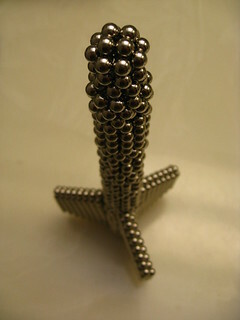 ZEN MAGNETS - Neodymium Magnetic Balls (@1058) - Ready 4 Take-Off !!! I recycled parts from the "BSG Colonial Viper Mk I" ... changed the tail fin to match the wings ... put the 3 engines together ... fashioned the nosecone out of an extended 24-ball sphere shape.